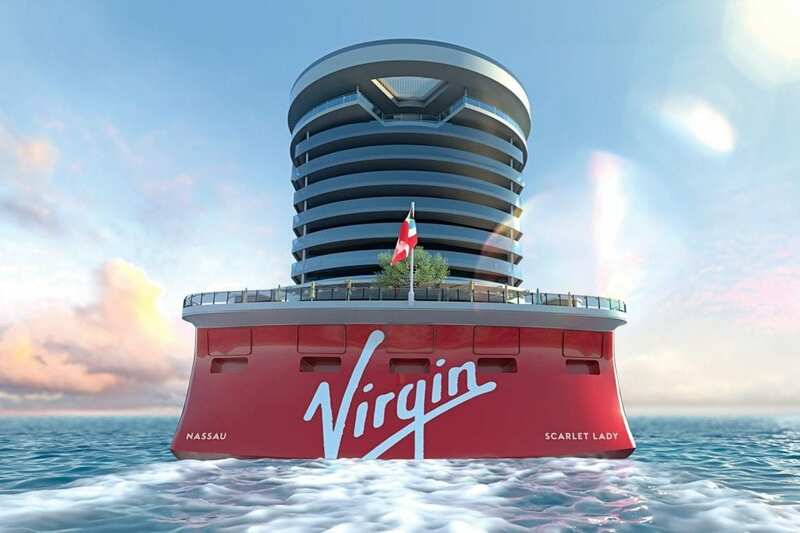 Billionare Richard Branson’s first cruise line, Virgin Voyages, is just for sailors 18 and over! It’s already safe to say this is NOT your grandparents cruise ship! 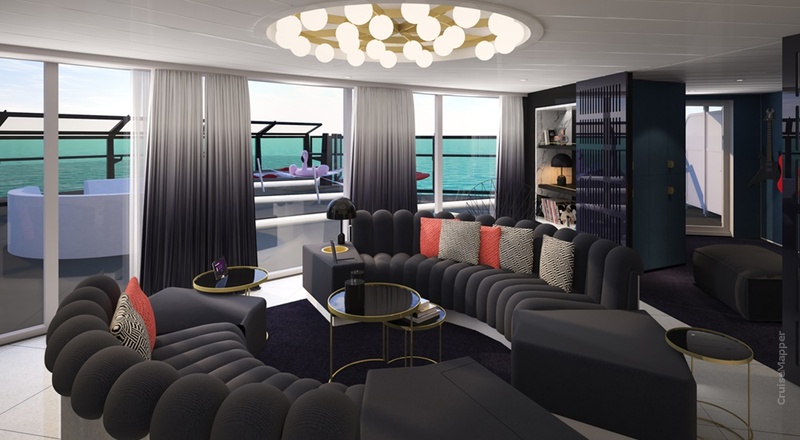 “Scarlet Lady,” the boat is only open to travelers who are 18 and up, and will offer grown-up on-board amenities like a tattoo parlor, luxurious spa, and a blow-dry bar. That is right leave those kids and babies at home (no seriously)! 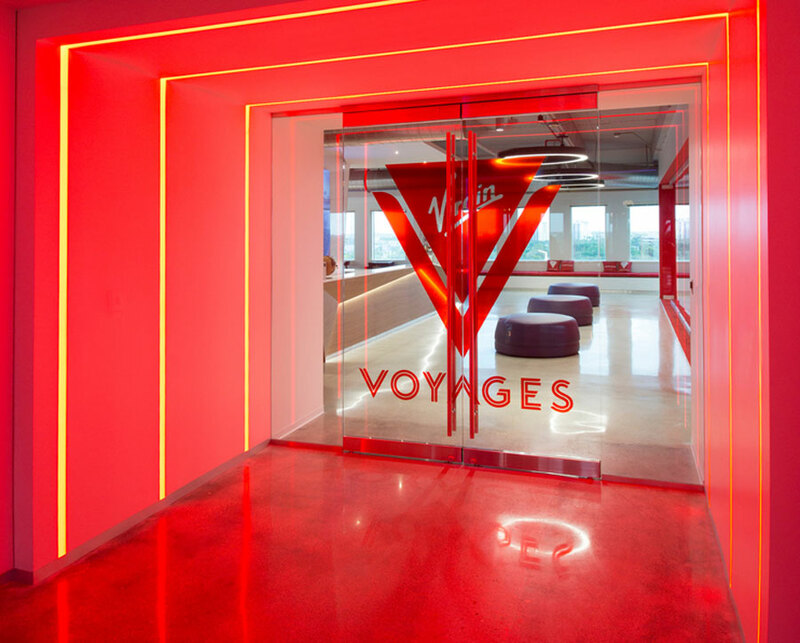 Virgin Voyagers “sailors” (Virgin’s name for their guests) have to be 18 years of age or older to embark, to be free and not be disturbed by children. A true adults only sail! 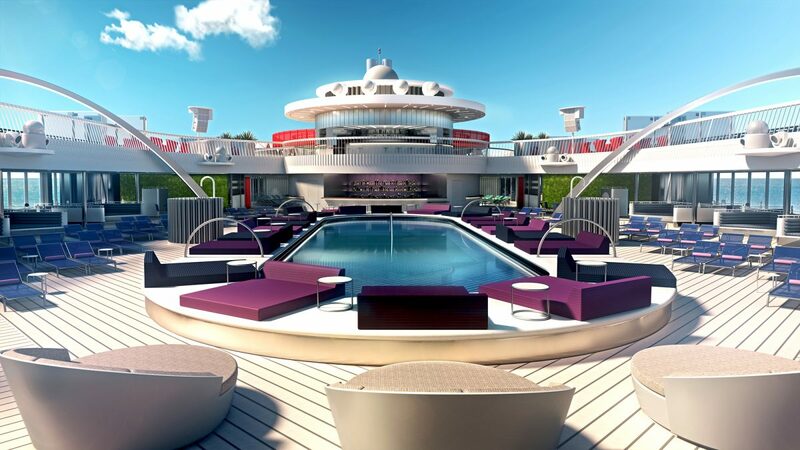 The Scarlet Lady will have areas for outdoor gaming, sits the largest daybed at sea, and a sports bar for a post-workout drink. Guests can also partake in yoga or cycling classes. The design styles have influences from the golden age of sea voyages in the 1920s and ‘30s to retro futurism and nightlife style from Studio 54. 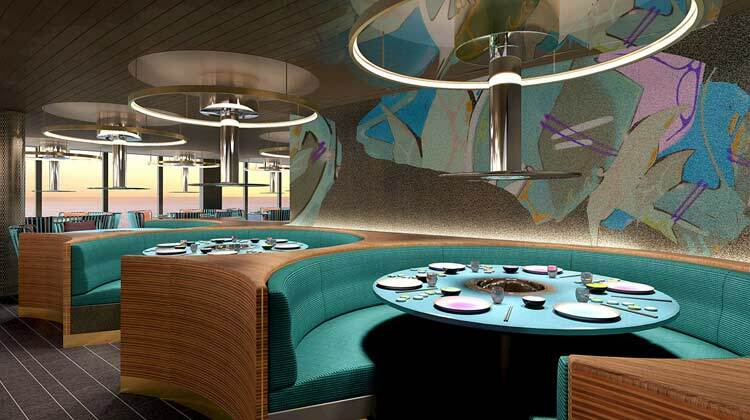 Tom Dixon of Design Research Studio said on the Virgin Voyages website he’s embracing the fact he’s being encouraged to be disruptive and not wanting to be like anybody else. 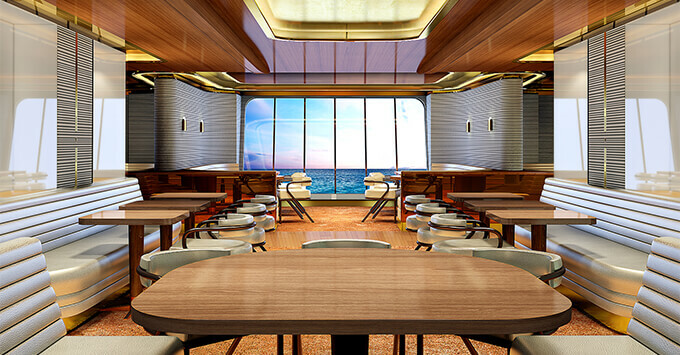 1,330 cabins and with 93 percent of cabins offering an ocean view. Eighty six percent will have a terrace. 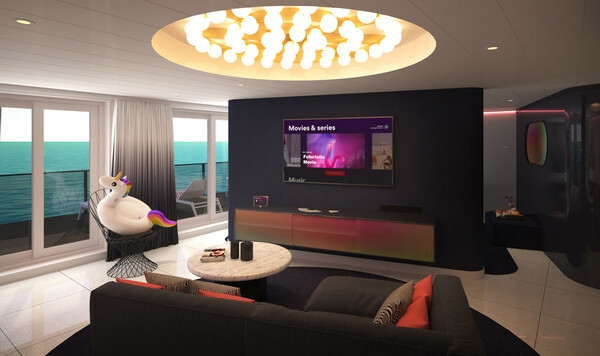 There are 78 “Rockstar Suites,” which are built for luxury with spacious rooms and fully-stocked bars. Many offer oceanfront views. 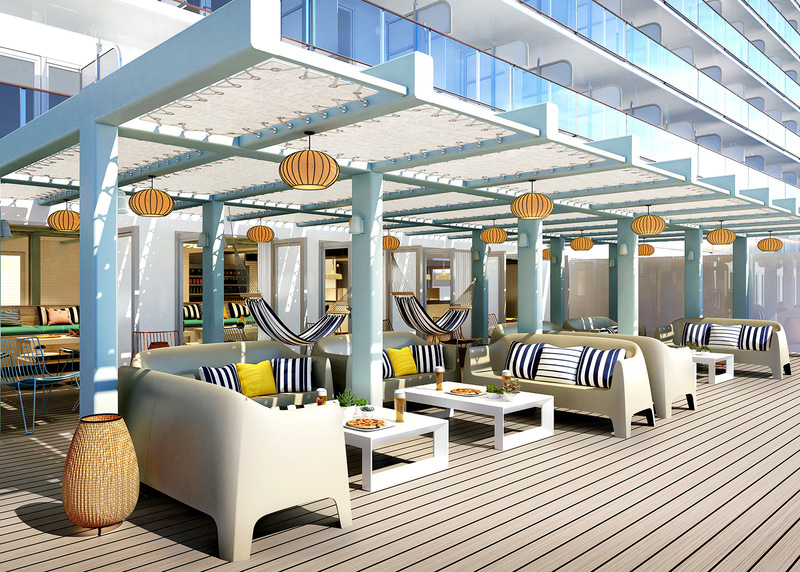 Suite guests will also have access to “Richard’s Rooftop,” an exclusive outdoor deck where they can drink, tan or socialize. These supremely modern digs are steeped in the Virgin rock & roll heritage, with nods to icons like Grace Jones. The mega yacht inspired look features a retro-futurism design with a palette of deep blues used with iridescent dichroic elements in the bathroom to echo the deep blue sea. drag brunch at the vibrant Razzle Dazzle, where the menu is split into a “nice” section with only plant-based vegetarian and vegan items and a “naughty” list, which features meat additions to meals or boozy shots. 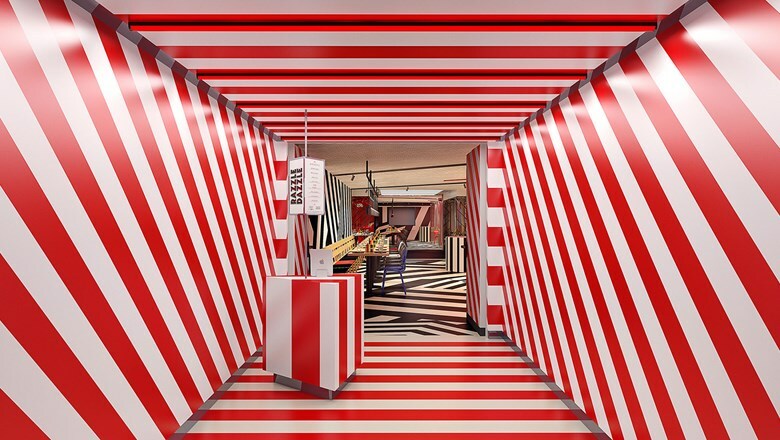 The flashy red-and-white entrance was inspired by the camouflaged pattern painted on warships from WWI and WWII. The ship, which will have a “no tipping” policy. All of their food will be made to order. In doing this, the ship cutting back on waste, lowering our energy usage and emissions, and setting up the Scarlet Lady to be the future of sustainable sea travel. 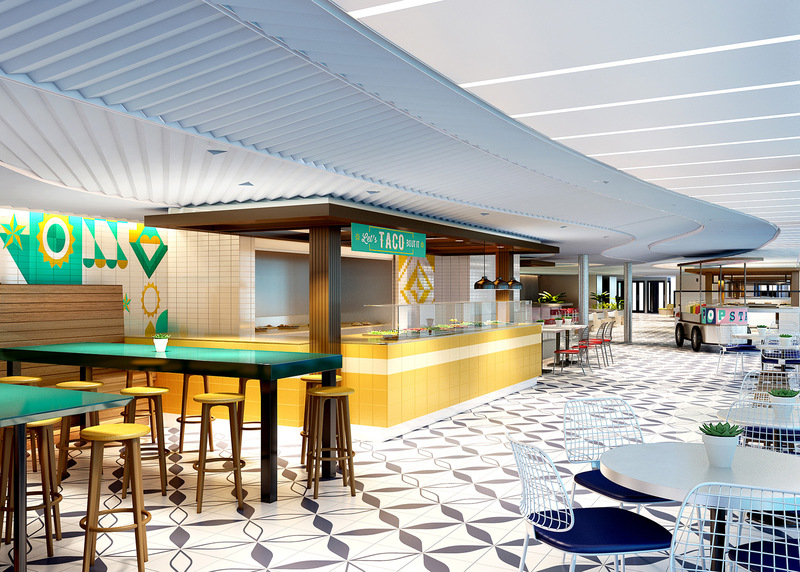 The ship’s inaugural trip will sail from Miami to the Caribbean in 2020, and future itineraries will include trips to Cuba. The four- or five-night Havana After Dark schedule, allows travelers to explore the culture of Cuba, including an overnight stay in the capital city. Dominican Daze journey, also five nights, takes travelers to Puerto Plata in the D.R. On the island, they’ll offer trekking, surfing class. The five-night Mayan Sol itinerary heads to Costa Maya, Mexico, where sailors can disembark to explore ancient ruins and dive at coral reefs. The Scarlet Lady opens for 2020 bookings on February 14. 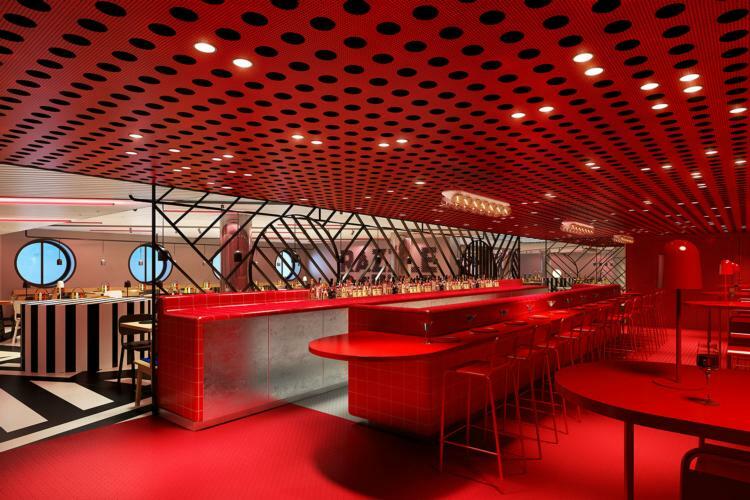 Visit virginvoyages.com for more information. This cruise looks awesome!! I have never been on a cruise but it is definitely on my bucket list! This sounds like a dream cruise, I do like everything about the adults only concept. Sometimes you just want to relax and not hear children around. Oh wow this sounds like the most amazing cruise! Great way to get away with some friends or a significant other. You had me at adult only. I like kids and all, but sometimes I just want to go to a place where I won’t have to hear them. I need to try out this cruise! What a cool ship. This would be a great vacation for me and the husband. Now to find a babysitter. Wow!Sometimes it’s great to have cruise on your own. I love to be with my son but this kinds of thing would really be fun! Omg amazing,I actually want to go on Vacation after looking at these beautiful Houses’ number three is my favorite! whoa, that’s a boot. That looks great. I’ve never been a cruise this sounds perfect. 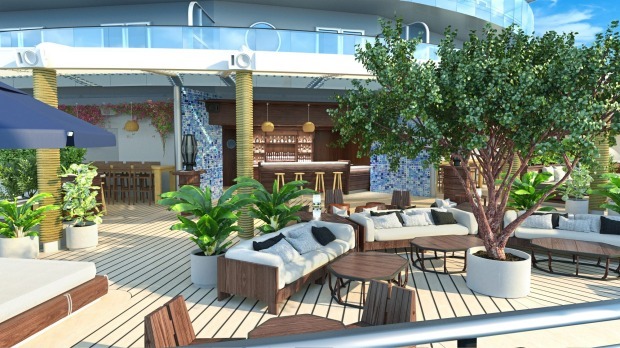 I would love to relax on this all adult cruise! Waking up to an ocean view would be amazing!! I’ve never been on a cruise before and am always intrigued. Now an adults only one has made me more interested!! Well, this seems like the perfect place to escape the routine life. I guess I need to wait for another 18 years before going because the kid is well, a kid now! These images are absolutely stunning! Has me wanting to go right now. Goodness gracious! Is that a cruise ship? I agree: Sailing in such a cruise ship is goals now! I mean. it’s perfectly furnished that I can imagine the amount of fun inside there. This cruise ship looks pretty impressive. 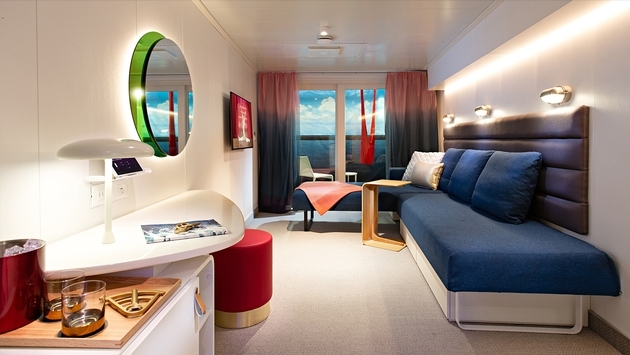 It would be a pity to go on the cruise and dirty all those neat and tidy rooms (haha). I’m so glad that over 90% of the cabins have an ocean view and that they have a lot of plant-based food options. Umm…I don’t have children so I LOVE the idea of a cruise dedicated to adults only. With all of the amenities and the stunning decor of the ship, I am very, very curious to check out the pricing for a 5-to-7 day cruise! Richard Branson definitely knows how to do luxury! I went on a cruise for the first time in YEARS, just a couple of months ago. I had the best time. I can’t wait to do it again. I have been to an adult only hotel on holiday and it was such a blast! this cruise looks like a dream! Cruising is my ultimate travel plan. Thanks for sharing this post. Your photos provide a breathtaking view of a wondrous trip! Makes me want to book one now!! This cruise looks so comfortable and relaxing. Once I’d a cruise trip and it was my amazing trip. OMG sign me up! Me and my Amore will be so happy to avail this cruise, sans kiddos. 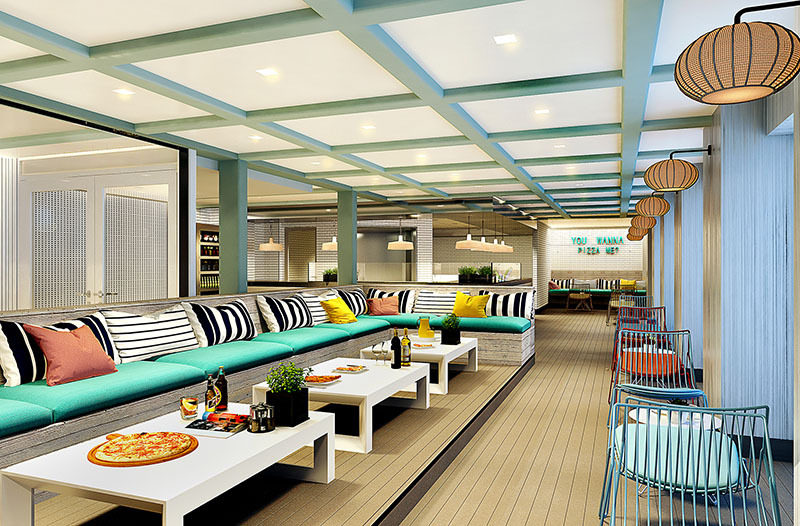 I’ve never been on a cruise before – this one looks so colorful and relaxing! Wow!!! This is some ship.. it has all the bells and whistles to make you want to make cruising the ultimate vacation experience. thanks for sharing this..
A lot of cruise ships look so dated, but this is a gorgeous ship. I’m pinning this one. It looks really nice. I would try my hand at it. This looks amazing! I need to research this for my husband and I! I need this in my life so bad right now! I would love to enjoy this cruise! yes, a child free cruise is exactly what I need. This looks divine and I await to try it out. That is definitely a different kind of cruise. I have an open mind and think it might be fun to check out. Although you might not catch me on a boat anytime soon. Last time I was on one, I got the norovirus. I never considered taking a cruise but Im seriously thinking about booking a trip, especially the Cuba one. Thanks for putting us on. I haven’t cruised in many years, but I believe I would dust off my flip-flops and go on this one! I have never been on a cruise.Your post motivates me to go on this one.It looks to be awesome. The pictures of beautiful, I immediately thought of all the places I would take pictures. lol I’ve never had the cruise experience but 18 and up is the way to go for sure. I already love everything Richard Branson does so I know this won’t be a disappointment! This guy seems to have his hand in everything! I already love everything Richard Branson does so I know this won’t be a disappointment! This guy seems to have his hand in everything! I love the concept images. When I saw this I immediately sent this to my friends. This is something that I Would definitely do. This has also sparked the adults-only flight debate or should I say reignited it. OMG this cruise ship is so gorgeous! I can so see myself convincing a few friends to take the voyage with me.